Bilberry is a low-growing shrub related to the blueberry and cranberry. It’s also known as huckleberry, whortleberry, or European blueberry. Native to regions of Europe, Asia and the Rocky Mountains, it’s been a natural health remedy since the Middle Ages (x) (x). Historically, people ate bilberries to treat diarrhea, scurvy, infections, burns, and even to improve night vision (x). Today, while you can eat the berries themselves, they’re more popular in tablets, powders, dried, and in teas. Bilberries may be small, but these tiny powerhouses are packed with antioxidants called anthocyanins. These antioxidants give berries their rich red, blue and purple color and give bilberries their health benefits. Since they’re in the same family, bilberry and blueberry share many similar characteristics. Like the bilberry, blueberries are also an excellent source of antioxidants. However, blueberries are larger and lighter in color than bilberries. Blueberries are also softer and not quite as juicy as bilberries. 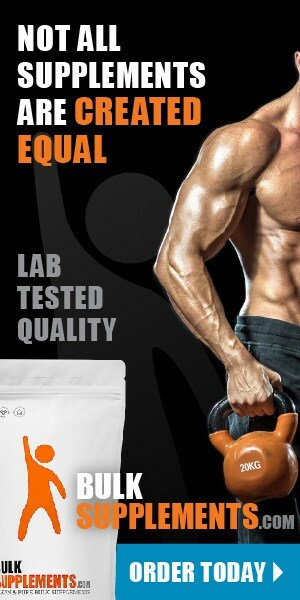 Their nutrient profiles differ, as well. Bilberries are darker blue than bluberries, meaning they have a higher anthocyanin content–four times higher than blueberries. So how can bilberries benefit your health? Bilberries are rich in antioxidants that fight free radical damage. But what exactly are free radicals? Free radicals are unstable molecules caused by both natural cellular processes and harmful environmental sources like cigarette smoke and pollution (x). These unstable molecules can cause damage to our cells in the form of oxidative stress. This damage may cause various chronic diseases like diabetes and Alzheimer’s. But the antioxidants like the ones in bilberry can counteract oxidative stress, protecting your cells from oxidation and disease. Though research is ongoing, bilberry may help regulate blood sugar in diabetic patients. Insulin is a hormone our body uses to remove glucose from the blood and deliver it to our muscle and fat cells. When insulin is not working correctly, blood sugar levels spike, leading to diabetes. The good news is that bilberry helps improve the action of insulin and naturally lowers blood sugar levels (x). Since World War II, doctors have recommended bilberries to improve vision. During the war, British pilots ate them to improve their night vision during flights. Today, studies suggest they may help prevent macular degeneration and loss of vision. However, more research is necessary to determine whether bilberries can definitively treat these diseases (x). Bilberries have natural antimicrobial properties and could kill infectinos like salmonella and MRSA(x). Research suggests that when paired with other berries, bilberries fight to prevent microbes from sticking to cell walls, killing the infection before it can inflict damage (x). 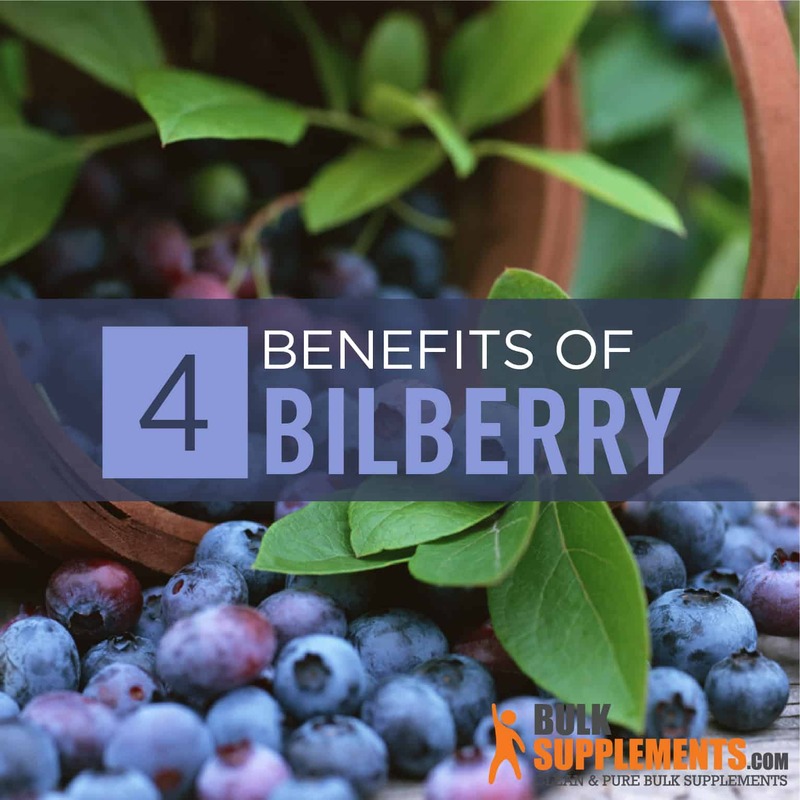 As long as you stick to the recommended dosage, bilberry is safe to take for healthy adults. However, you should talk to your doctor before taking bilberry supplements if you are nursing, pregnant, or planning to become pregnant. Because bilberry may lower blood sugar levels, you shouldn’t take it if you also take glucose-lowering medications or if you have diabetes. Do not take bilberry if you have a blood clotting disorder, as it may worsen bruising or bleeding. Bilberry is also a source of tannins; if you’re allergic to tannins, don’t take bilberry. If you prefer not to eat bilberries, you can reap their benefits by adding a bilberry supplement to your diet. Bilberry extract powder contains a high concentration of the plant’s antioxidants. As a dietary supplement, take 400 mg (about 1/4 tsp) once or twice daily with a meal, or as directed by your physician. You can mix the powder into a smoothie, juice, or the drink of your choice. Prized for their health benefits for centuries, bilberries are rich in antioxidants that protect you from disease. They could boost your heart health, support your vision and fight infection. With minimal side effects and science in their corner, bilberries are a supplement force to be reckoned with, and a powerful addition to your nutrition routine.